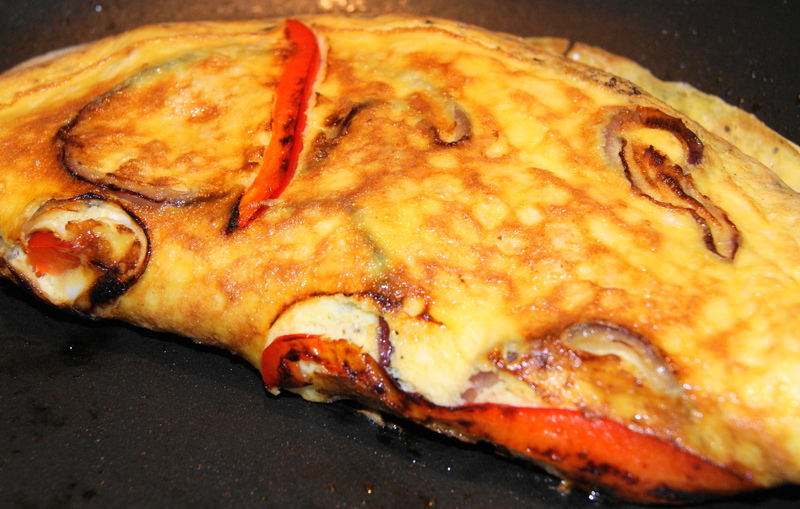 Posted on March 4, 2012 by Dad Can Cook	• This entry was posted in Recipes and tagged avocado, breakfast, cheese, cheese omelet, cooking, eggs, food, omelet, recipe, red onion, red pepper, vegetarian. Bookmark the permalink. Avocado is so good. Thanks for the comment. Looks perfect for a Saturday morning! I love the taste when you saute the onion and pepper first then add the egg to the pan. It also looks cool.